Wow! The Celebrator is turning thirty! Established in 1988 as the California Celebrator, and now officially titled Celebrator Beer News, it has indeed been a fixture of the California craft beer community. I have personal fondness for the Celebrator going back to the mid- to late-1990s, when I started homebrewing. The local homebrew supply store –the now long-defunct Fantastic Fermentations in Pacheco, CA– always had copies on hand. 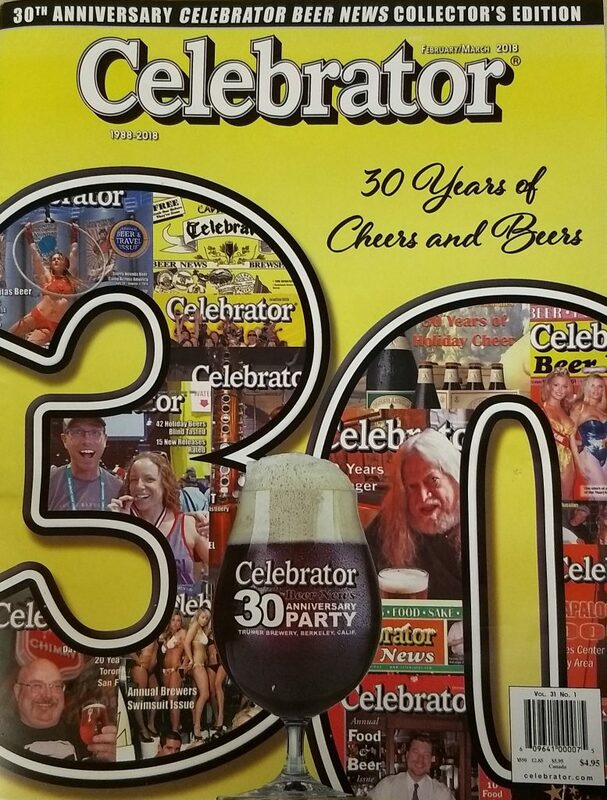 In those days when the internet was barely getting going and websites were mostly hosted by universities and government institutions, the Celebrator was about the only way a regular guy like me could find out about and keep up with the craft beer scene, read interviews with brewers, or read features about breweries. Much of it was almost incomprehensible to me –I had yet to have tried many of the styles mentioned and had little idea of where the breweries talked about were located– but I read every issue cover to cover and soaked it all in. 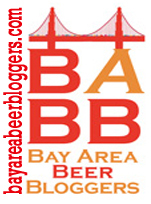 The folks at the Celebrator are marking this occasion with a 30th anniversary bash during SF Beer Week, on Feb, 17th. Cheers to them! To the Celebrator! And, thank you! 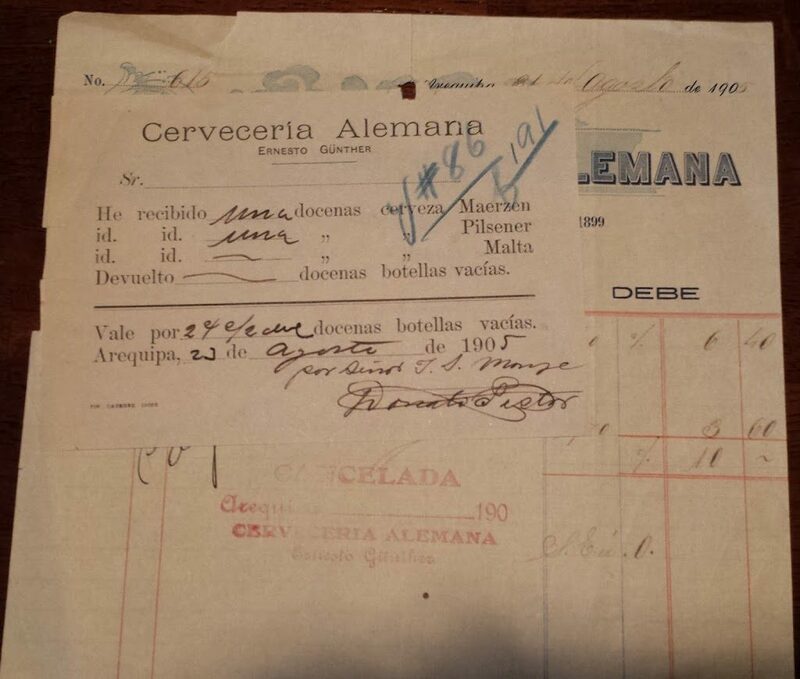 Another piece of brewing memorabilia that I recently acquired is a 111-year old cancelled invoice from the Cervecería Alemana (lit. “German Brewery”), which was located in the southern Peruvian city of Arequipa. The attached voucher is dated 23 August of 1905, and is for 1 dozen bottles of Märzen beer, 1 dozen bottles of Pilsner beer, and the deposit on two dozen bottles. The voucher was issued by Donato Lister, and was made out to José S. Monje. The cancelled invoice itself is dated 31 August 1905. The price for the beer is listed as s/. 6.40 and the price for “2 dozen boxed bottles” is s/. 5.60, but either through a math error or giving a customer a break, the price charged to Mr. Monje was just s/. 10. The Cervecería Alemana was one of Peru’s earliest large-scale breweries. It was established in 1898 by Ernesto -or Ernst- Gunther, a German immigrant, recently arrived from Bolivia. When Gunther and and his business partner, Franz Rehder, opened the Cervecería Alemana there were several other small breweries in Arequipa: Cervecería Germania, Cervecería Arequipa, Cervecería Gambrinus, Cervecería Teutonia, Cervecería Francesa, and one other. 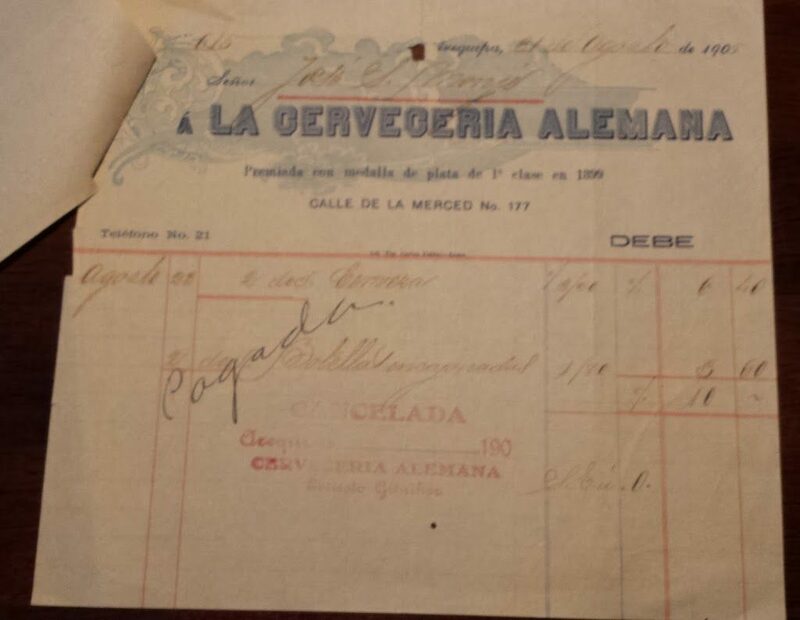 The brewery was originally located on Mercaderes street, but in 1900 Gunther travelled to Germany, returned with new German equipment, and moved the expanding brewery to 177 Calle de La Merced, into the plant of the closed Cervecería Francesa. The Cervecería Alemana soon outpaced competitors, and in 1908 a second brewery was established in Cuzco. The Cervecería Alemana was renamed Companía Cervecera del Sur, S.A., in 1935, and consolidated as the CERVESUR corporation in 1954. For years it dominated the beer market in southern Peru, with its two flagship brands: Cerveza Arequipeña and Cerveza Cusqueña. The company was finally acquired by the Union de Cervecerías Backus & Johnston brewing empire in 2000. However, both, Arequipeña and Cusqueña continue to be made, and the latter can sometimes be found in US markets. I just got this piece in the mail today. It is an advert for Peru’s Cerveza Cristal. It will serve as an addition and a counterpoint to the one for Cerveza Pilsen Callao that I have affixed to the side of the house. 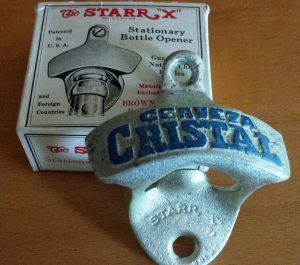 Cristal and Pilsen were for many years Peru’s two main rival brands. They are, respectively, the best- and second best-selling labels in Peru today, and are still viewed as competing brands, although they are now, in fact, both controlled by the Union de Cervecerias Peruanas Backus y Johnston company.